Between the years 1639 to 1854, Japan was in what Western historians call “a state of self-imposed isolation”. From the Japanese point of view, it was a period when foreigners were not allowed in the country. Subtle difference. One of the main reasons Japan closed its doors to foreign countries was the behavior of Christian missionaries. Christianity was one of many imports in the 16th century that took hold quite rapidly. Lord Hosokawa, one of the oldest samurai clans, was so devoted that he made Christianity the official religion of his domain. He even made the cross his military insignia. The conqueror Oda Nobunaga valued the Jesuit priests for their knowledge of the outside world and the unusual items they brought as gifts. The Christians, however, were quite arrogant. And as trade with Japan became increasingly lucrative, the nature of the missionaries changed. In those days, Catholic missionaries doubled as spies. They collected maps and logistic information around the world. They were also tools of propaganda. While they spread the Gospel, they also busily planted the idea that the God’s Armies were invincible which helped greatly when conquering territories far from home. Finally, they were tools of oppression. Converting to Christianity meant that you were forced to believe that anyone who defied the will of God was damned to hell. And the missionaries always had the final say when it came to what the will of God was. The final line was crossed when it was found that Catholic missionaries were involved in the slave trade, abducting Japanese farmers and selling them off to China. The Tokugawa Shogunate was anti-Christian from the very beginning. But to be a bit more precise, they were actually anti-Catholic. This stance was influenced largely by William Adams, a.k.a. Miura Anjin, the model for John Blackthorne in James Clavel’s Shogun, who was an Englishman and an Anglican. The shipwrecked Brit served as an adviser to Tokugawa Ieyasu, who was clearly interested in Western matters but seemed to have kept a distance from the missionaries. The intelligent navigator was just the non-clergy Western intellectual that Ieyasu was looking for. Adams, who was wary of the influence of his national rival Spain, reported of the ills of having Catholic missionaries in the domain. Ieyasu, drawing from information supplied to him through other sources, concluded that these reports were accurate. He embarked on a massive anti-Catholicism campaign. Large Christian clans were forced to convert back to Buddhism. Christian villages were harassed and oppressed. The most troublesome of them was the predominantly Catholic Nagasaki area, which remains the center of Japanese Catholicism to this day. Through an interesting series of intrigues Lord Arima Harunobu, a Christian who ruled the Shimabara area south of modern Nagasaki, was tricked into attacking a Portuguese ship and attempting the assassination of the governor of Nagasaki city. He was lead to believe that these were secret missions entrusted to him. In fact there were no such missions and he was sentenced to ritual suicide for his acts of treason. His son Naozumi was forced to ban Christianity in the domain. When the ban was found to be ineffectual, Naozumi was replaced by the ruthless Matsukura Shigeharu. He intentionally miscalculated the area of land and taxed the inhabitants double what they should have been paying. Since taxes were paid in rice and produce, the idea was to starve the Christians into having fewer children. Inappropriately high taxes were common in the early Tokugawa period. The shogunate always overestimated the farmland so that the regional lords would not amass too much wealth. But the situation in Shimabara was especially severe. And when the area suffered a serious drought between 1634 and 1637, things finally reached a critical level. In 1614, a missionary named Mamakos, upon being forced to leave Japan, prophesied that there will one day be a young boy who will lead the masses into rebellion beneath a banner baring the cross. In 1637, rumors were circulated that a 16-year-old boy called Masuda Shiro fit the description left by Mamakos. The Christians, who had become increasingly shrill and apocalyptic in their evangelism, insisted that this was a sign that the Day of Judgement was near. They started re-converting those who converted to Buddhism. In October 23, 1637, two officials were killed by a mob while trying to disperse a Christian gathering. This triggered a rebellion all across southern Shimabara. 100 soldiers left Shimabara castle to suppress the rebellion but turned back when they realized that their forces were woefully outnumbered. They gathered all the soldiers they could find and headed out again, but by this time even that was no longer enough. They turned back to the castle without offering a fight. This only encouraged the rebels and the castle came under siege. 1500 soldiers dispatched from Karatsu castle only helped fan the flames and, defeating the suppressors, the rebels put Tomioka castle under siege as well. After a string of mishandled battles, the shogunate took huge losses. They finally sent an army of 120,000. They even dispatched the Koga Ninjas to infiltrate the rebel fortress and commit acts of sabotage. (This is one of the few times in history where official written records remain on the use of ninjas in actual battle.) The battle ended in a massacre of all rebels, estimated to be more than 40,000, including women and children. The shogunate lost more than 5,000 soldiers. The conflict drove the final nail in the coffin for Catholicism in Japan. The official repression of the faith became tighter than ever before. The few remaining faithfuls were forced into hiding, but the religeon proved resilient. They worshiped quietly in fear of death for two centuries until the ban was finally lifted in 1873. Masuda Shiro, remembered by his acquired name Amakusa Shiro, was the Joan d’ Arc of this conflict. He was rumored to have supernatural powers and most of the successes of the rebels were attributed to him. His head was taken as a trophy by a soldier named Jinnozaemon in the final battle. 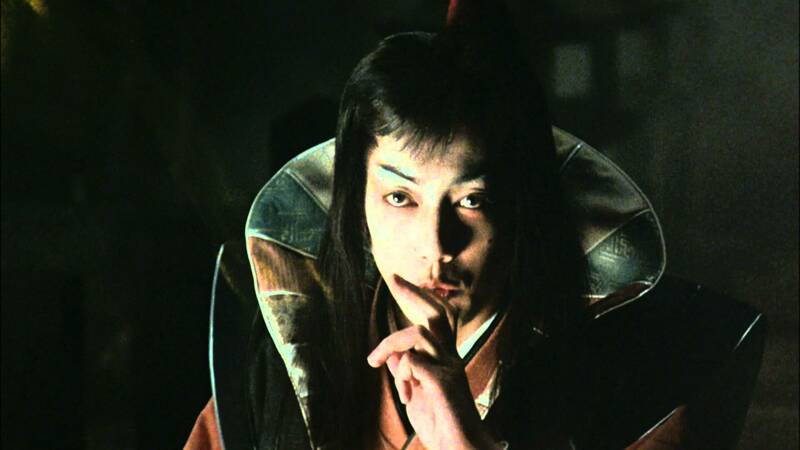 Ninja story master Yamada Futaro incarnated him as a diabolical Lestat-like character in his novel Makai Tenshou, which was adapted to the silver screen in 1981 and again in 2003.